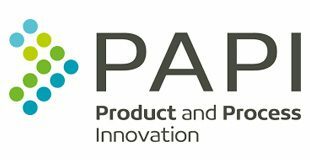 ACA is delighted to have been successful in its grant application to the Product and Process Innovation (PAPI) project, delivered by the University of York. PAPI is part-funded by the European Regional Development Fund 2014-2020 and the grant will help fund the Practice’s increase in specialist IT and technological requirements. ACA has just commenced its 4th year and is steadily expanding, with repeat business accounting for 80% of the Practice’s workload. ACA’s brand and reputation as specialists in the healthcare sector are continuing to spread, evidenced by the amount of exciting local and national projects on the drawing board. Phase 1 of ACA’s commitment to expansion has already been self-funded and completed in December 2016, with the design and build of a new office. Part 2 of the expansion can now go ahead sooner than anticipated, thanks to the PAPI grant scheme awarding 40% of the specialist IT and technological equipment project costs and bridging the gap in required finances. The new equipment will enable more flexible working arrangements for ACA associates, contractors and Clients, considerably reducing commuting time, travel, printing costs and paper waste. This will help the company to compete in their key Healthcare market. “PAPI is happy to have been able to support ACA to innovate through the grant investment, and wish them all the best for the future.” Vicky Wren.